Performer — Lane Summerlin, D.M.A. 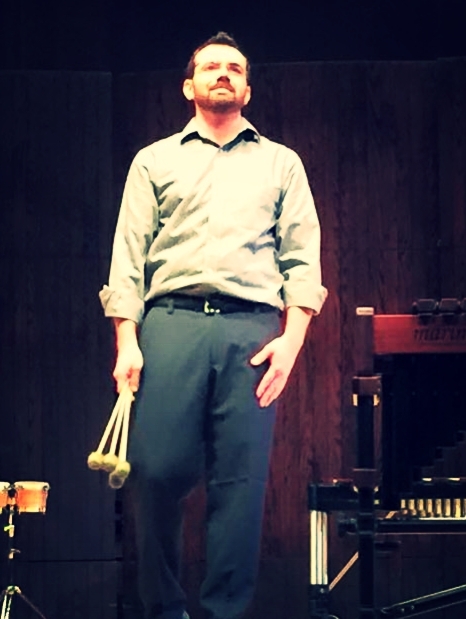 As a percussionist, Lane has experienced a wide variety of musical styles and genres. He holds a Doctorate in the Musical Arts, and a Master of Music from The Ohio State University where he studied percussion performance. His primary teachers while at OSU were Dr. Susan Powell, and Joseph Krygier. Lane also earned a Bachelor of Music from the University of North Carolina at Greensboro where he also focused on percussion performance. While at UNCG Lane's primary teachers included Dr. Kristopher Keeton, John R. Beck and Court McLaren. Lane has been involved in the marching arts for several years. He has been a member of several drum and bugle corps including the Bluecoats, the Colts, the Blue Stars and Carolina Gold. He was also a member of Music City Mystique, winning a WGI Percussion Independent World gold medal in 2011. He has had the privilege of performing in nearly every state in the U.S.A. Currently, Lane is working on a recording project with his wife, Ashley, who regularly perform together as a percussion duo.